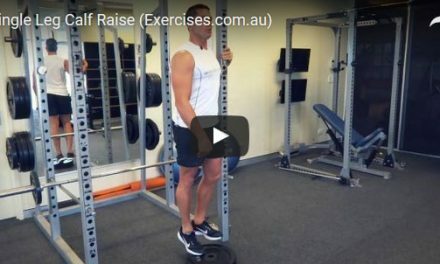 Standing Side Leg Raises is a dynamic compound exercise that works the obliques, serratus, transverse abdominis muscles of the core section and also the adductor, abductor muscles of the thigh, hamstrings and glute muscles. Standing Side Leg Raises improves the level of flexibility and mobility of the hips and lower back. This is important to maintain correct posture and the rigid position of the trunk during activities that involve sprinting. Stand with good posture, keeping your legs perfectly straight and aligned with the hips. Raise one leg out to the side as high as you can or until you feel a contraction on your oblique muscle, abductor and a comfortable stretch on your adductor, hamstring and glute muscles. Hold the position for a count of “one”. 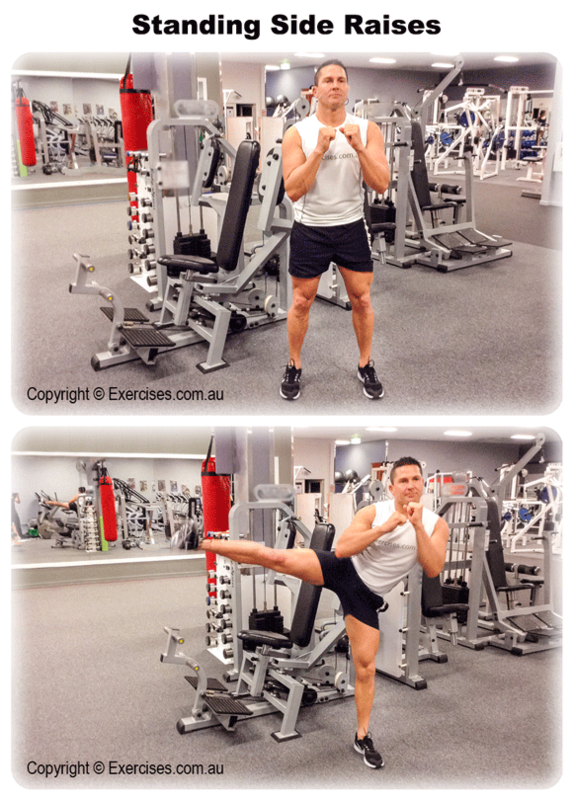 Return to starting position by resisting the weight of your leg. 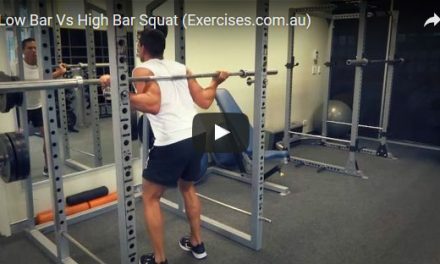 Once you have completed the targeted number of reps, switch legs and work the other side. Perform the exact number of reps. When performing Standing Side Leg Raises, make sure your legs are aligned with the hips to reduce compression forces on your lower back. Only go as high as you comfortably can and perform each rep in a controlled manner. Keep your working leg as straight as possible.